Flashback Friday review of a classic game from the 80s. The game sees you and up to two others taking on a fourth overlord player who is going to make it their business to ruin your day. It’s like a four player space hulk but a lot more social and to be honest a lot more fun. 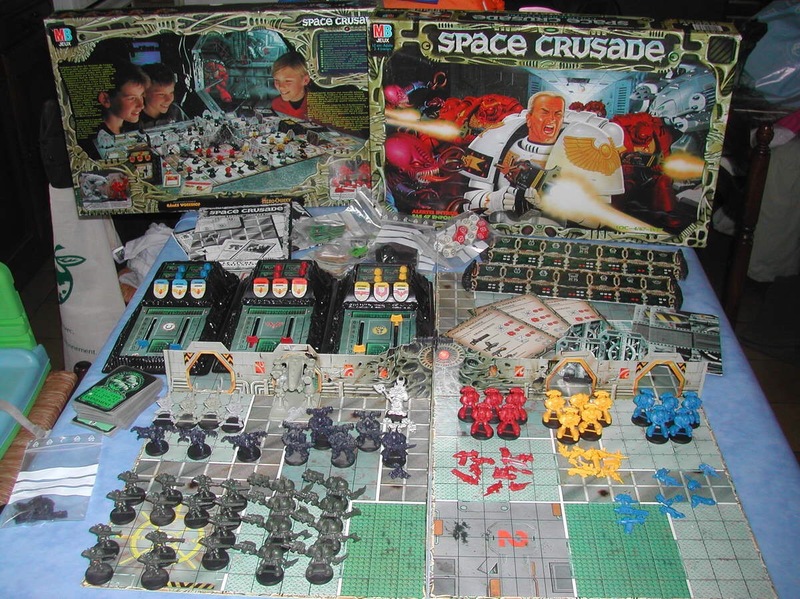 I’d play this game anytime over Space Hulk. Missions follow a pretty similar pattern you arrive on a space hulk (dungeon) with four beweaponed space marines and their nails hard commander and need to get somewhere and do something, more than likely kill some big dude. Theirs a big supporting cast from kobol like space gretchens to lethal chaos marines and the big daddy ed209 style dreadnaught. The map is split into four parts and as your team enters each the overlord places blips face down for you to get LOS and kill. You’ve probably guessed this but I love playing overlord and running an evil tower defence on the questing “heroes”. 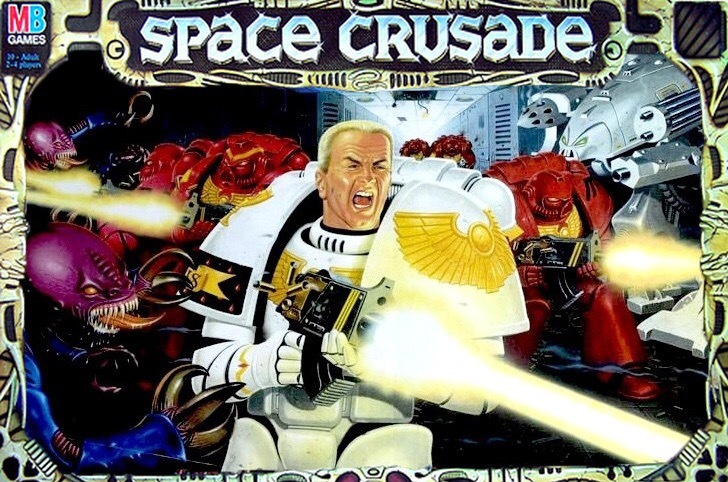 There’s is nothing as fun as the look on someone’s face who’s been facing gretchens and suddenly comes face to face with a chaos marine with a rocket launcher when they’re all badly bunched up. It’s quite common to lose all your grunt squad but your commander to carry the day. There’s a time limit governed by a set of event cards (usually bad for the marines) that get drawn each turn. Completing missions gives marines and more interestingly the overlord experience points which can be spent on equipment cards. Do I want to build a snowman? Ahh, now I have to search for this one too. It was such a cool game. ahhh, now I have to goy to ebay for another small piece of my childhood. Such good memories of this game.